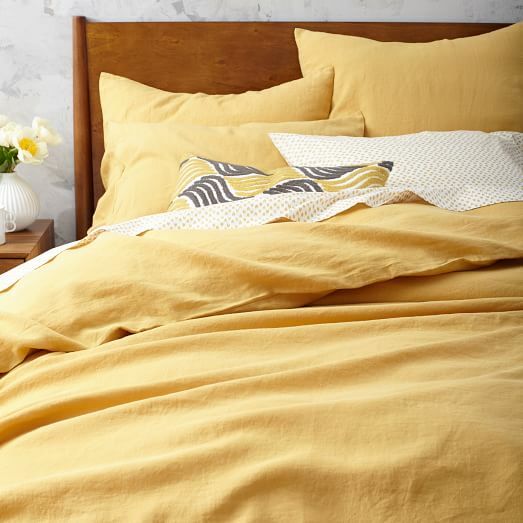 This Yellow Belgian Linen Duvet Cover is woven from fine Belgian flax, which is washed for a luxe, lived-in look. Prized for its breathability and softness, linen keeps you cool in the summer and warm in the winter, making it the natural choice for the master bedroom. $44-$229 Sale $35-$183. Buy here.